DIVAS is a very cosy hotel, located in the center of the unique Sultanahmet district, a place where old and new Istanbul meets. Historical highlights like Hagia Sophia, The Blue Mosque, Topkapı Palace, Hippodrome, Egyptian Obelisk and Serpent Column are at walking distance. 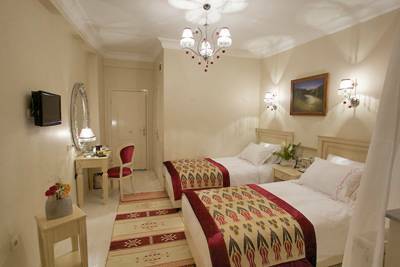 DIVA'S is the ideal place for those who want to combine historical Istanbul with modern Istanbul. Safe-deposit boxes are available at the reception, free of charge. There is also a wireless internet connection for our guests, who bring their laptop. The cosy lobby bar is the perfect place to relax. 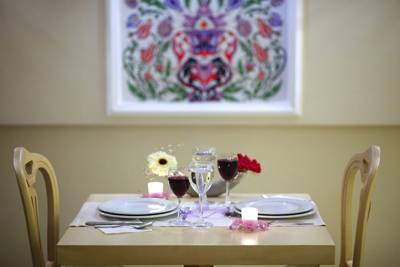 For your wining and dining there is the Has Bahçe open-air terrace restaurant (à la carte), where you can taste dishes from the famous Turkish cuisine. At the reception the concierge is at your disposal to arrange your Rent a Car, Daily Sightseeing Tours and Restaurant reservations. DIVA'S has totally 39 rooms of which 3 deluxe and 12 sea-view rooms. 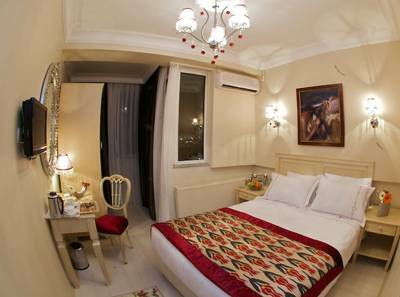 Deluxe rooms offer a stunning view on the Blue Mosque, Hagia Sophia and the Sea of Marmara with prince islands. All rooms have private bathroom with shower/WC/hairdryer, cable-TV, direct phone, central airconditioning minibar and 24 hours room service. 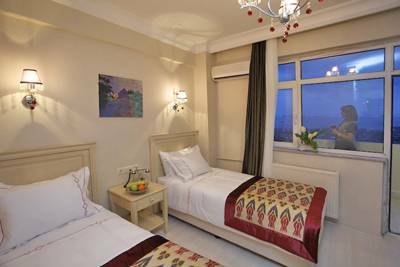 Hotel Diva's, being located just at the opposite of St. Sophia, the most famous Byzantine monument and Blue Mosque, know throughout the world, has a unique view that overlooks the Bosphorus and the Sea of Marmara.